See street performers at DeCarli Square to celebrate Stockton Arts Week. 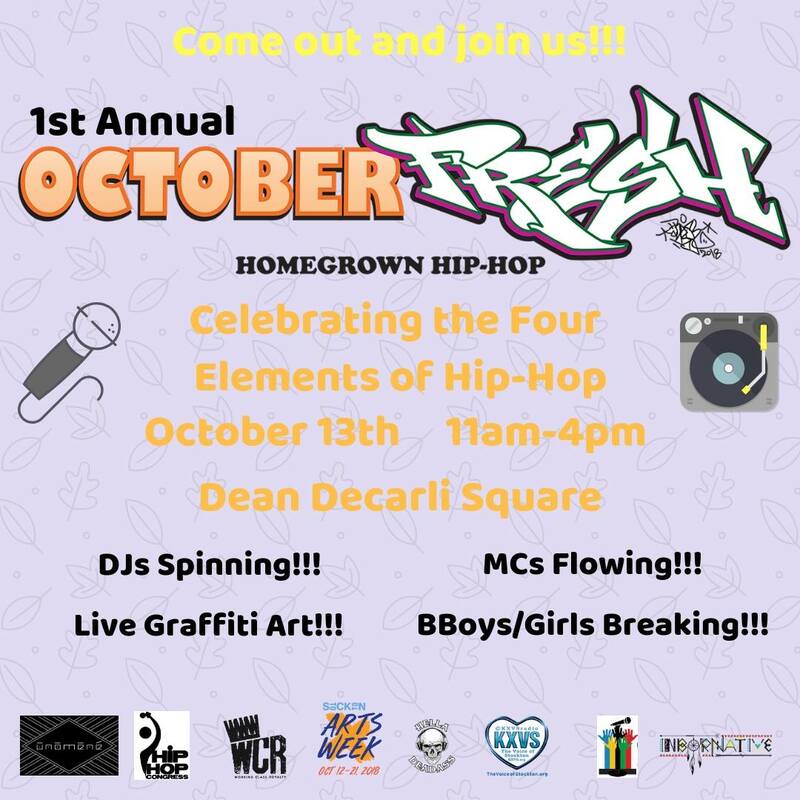 OctoberFRESH is a family-friendly celebration of the 4 elements of hip hop – Breakdancing, DJ-ing, Graffiti Art and Rapping – performed from the ground up and from the heart out at DeCarli Square by some of Stockton's FRESHEST hip hop entertainers and personalities! This event is FREE.